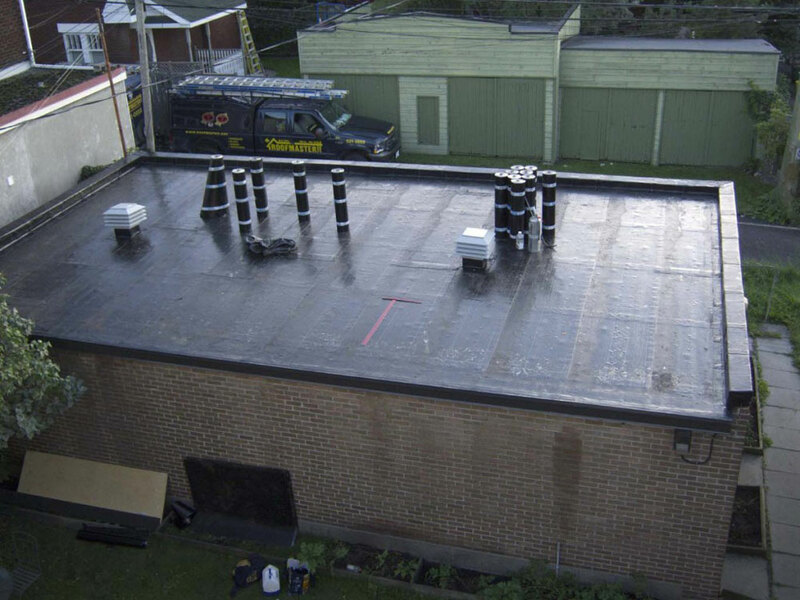 Modified Bitumen Membrane (MBM) roofing is the most reliable, trouble-free and long lasting system available for flat or low slope roofs. It is made from asphalt modified with synthetic rubber which results in a very flexible product even in very cold temperatures. One that is highly resistant to cracking or breaking during roof expansion & contraction in temperature fluctuations. 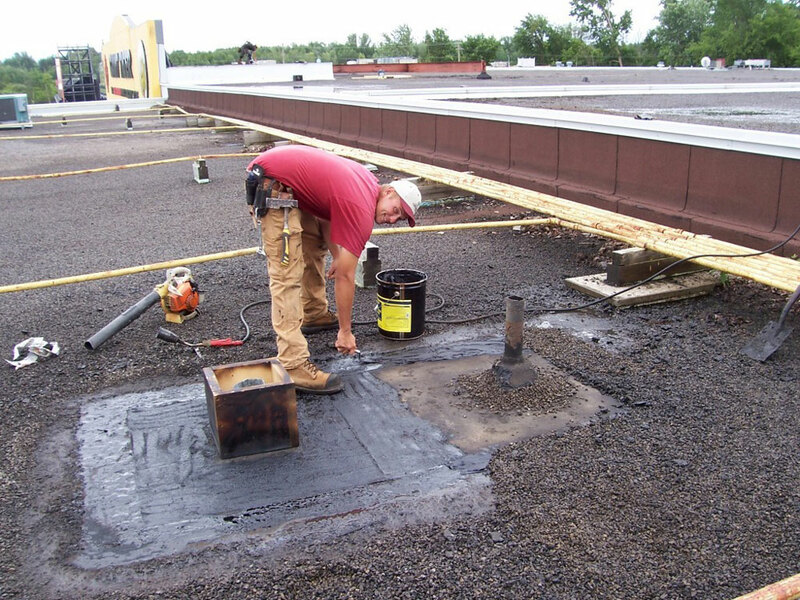 Modified Bitumen Membrane is easy to work with, especially in making alterations to a roof, like when retro-fitting curbs, HVACs, vents, plumbing stacks, skylights, etc. 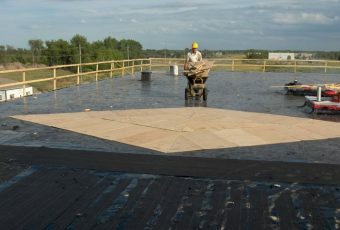 An added bonus is that there are no smelly fumes involved in its application as there are in tar and gravel roofing. Available in many colours, this ceramic stone-coated product is ideal for both residential and commercial applications. 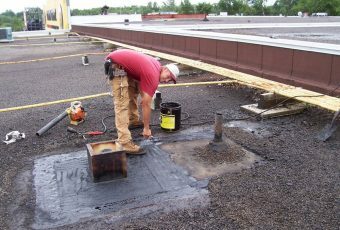 Modified Bitumen Membrane was developed in 1908, it is today the most common type of flat roofing application. The procedure usually involves layering 2 plies of modified bitumen membrane, plus a reinforcement layer in key transition areas, and welding them together to form a completely sealed system that has no flaws. 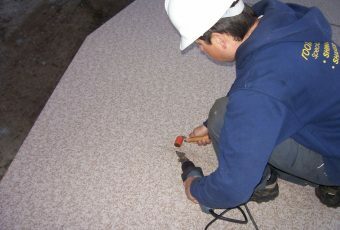 The base sheet can either be nailed, screwed, glued, welded, or mopped in hot asphalt, depending on the nature of the substrate and whether insulation is to be added to the system. 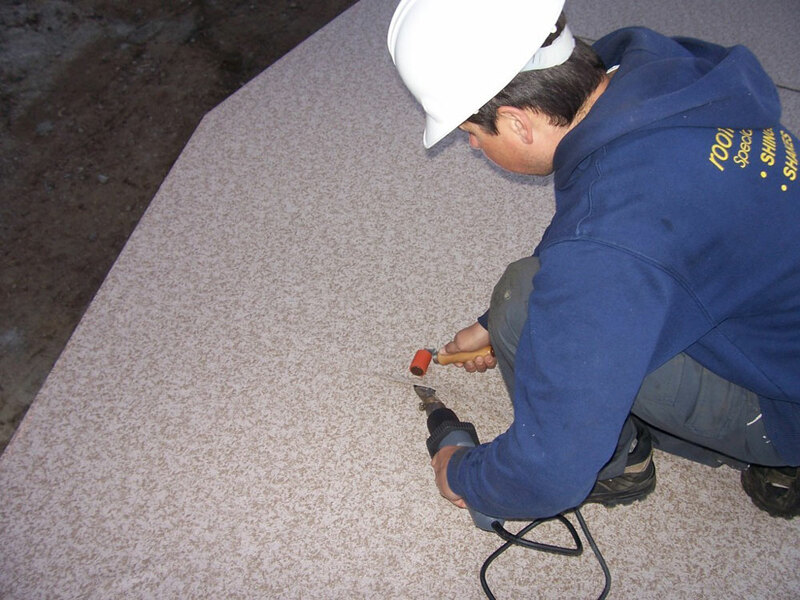 The cap sheet is usually welded onto the base sheet, but there are also applications in which it can be glued, mopped in hot asphalt, or come as a peel & stick membrane. The fact that the tiny granules of coloured stone are embedded in the cap sheet to protect from UV rays degrading the asphalt is a huge advantage over traditional tar and gravel systems. The latter normally cannot be continuously carried up parapet walls, curbs, boxes, etc., whereas the MBM is ideal for application from the flat roof and right up vertical surfaces. There is no limit to the height it can be applied. This is a major improvement over tar and gravel which can only go up a few inches and then must be covered with metal. 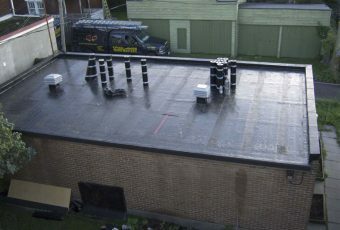 Additionally, Modified Bitumen Membranes typically have double the life expectancy and much higher manufacturer warranties than most other types of flat roofing products. 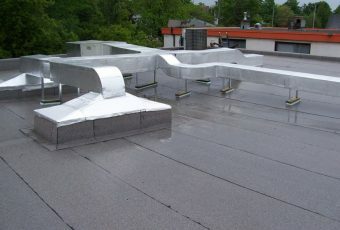 Rooftek is a manufacturer trained and certified installer of MBM membranes. 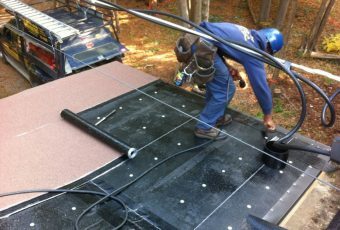 Our very experienced Foremen are actually partners in the company, so we achieve that extra level of care in the application of such flat roofing systems. 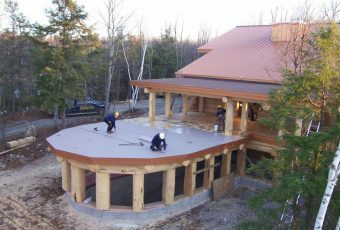 There are several types of single ply membrane roofs available. The most common are PVC (vinyl) membranes, and EPDM (rubber) membranes. (There are also spray-on liquid rubber or foam applications, which in our opinion have not yet been fully proven or accepted industry-wide.) 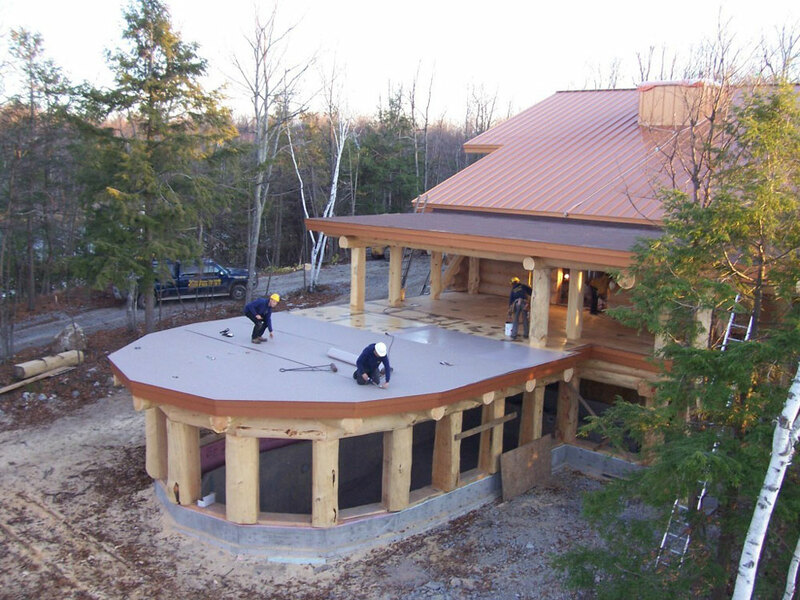 There are usually three ways to apply PVC or EPDM. 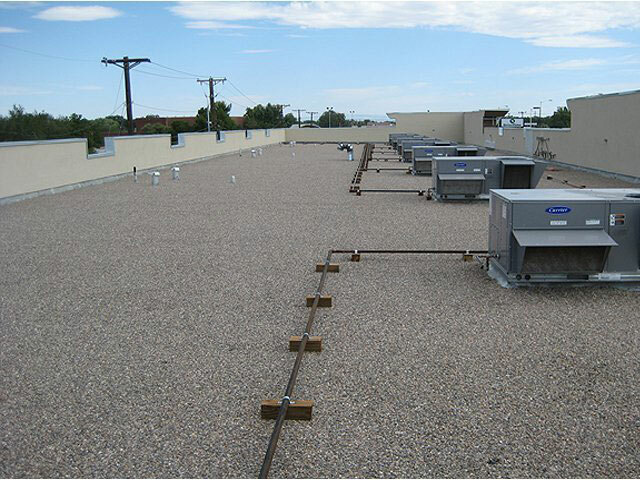 Ballasted systems are the most common, followed by fully adhered applications on more sloped surfaces, and then much less common the mechanically fastened. Included in the ballasted systems would be inverted or protected roof systems in which the membrane goes down before the insulation is placed on top, and ballasted with large 1.5” to 2” stone. In our opinion, if choosing PVC or EPDM on flat roofs, we prefer it be in a protected (inverted) system as the PVC and the EPDM are not very rugged membranes and are easily damaged and cut or punctured by workers servicing HVAC’s or other items on the roof. In some cases in sloped applications, such as the CN tower or the Toronto SkyDome, PVC membranes can be fully adhered where there is little chance of anyone walking on them or damaging them. Typically the warranties on PVC roofs and EPDM roofs are in the range of 10 years. 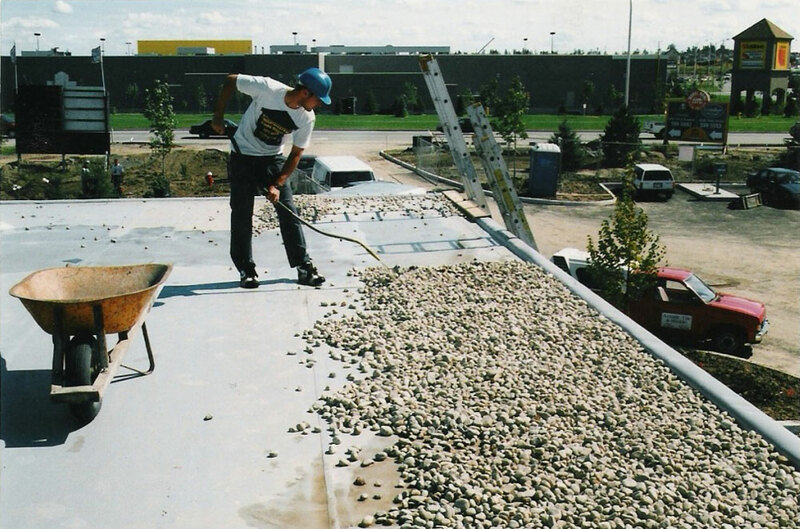 They are preferred by some companies on very large roofs because of the ease and speed of installation as they come in very large sheets, are easily seamed together at the laps, and simply ballasted down to hold in place. Punctures in these membranes are exceedingly difficult to locate. 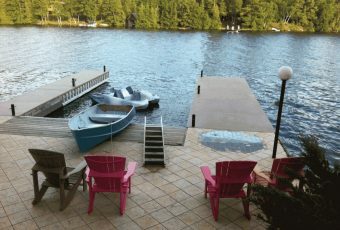 There is a thicker, walk-able, furniture and foot-friendly version of the PVC membranes available, which is ideal for smaller applications like decks, docks, boat tops, etc. 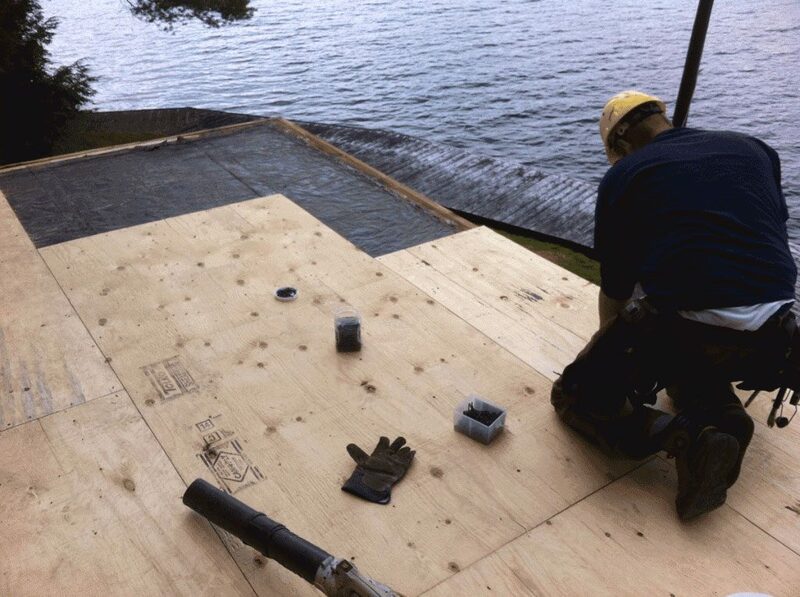 Many property owners find they are in need of a combination waterproof roofing system and rugged decking membrane. For example, on apartment building balconies. Or sometimes over a homeowner’s garage a rooftop deck is desired for lounging. Roofmaster staff specializes in a system of PVdeck membrane which is very tough and capable of handling patio furniture, chairs and human and pet traffic. 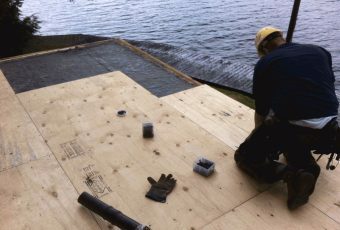 It is even excellent for those “bare-foot” applications such as tops of docks, pontoon boats, swim rafts, etc. where one wants a slip-resistant, clean surface that is cool to the touch even in the sun, but splinter free and maintenance free, while protecting the wood substrate and structure underneath. 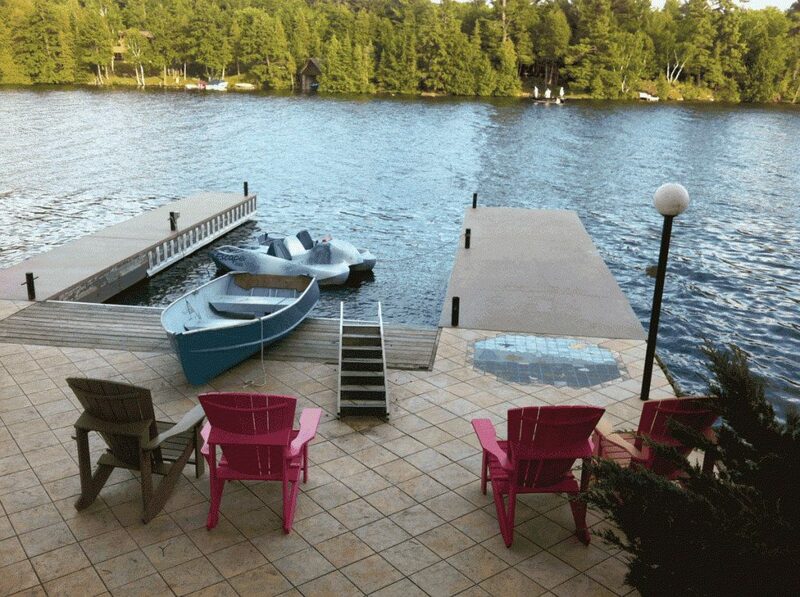 Imagine being able to sunbath or dive off your slip-resistant PVC coated dock or swim raft, not fearing splinters. 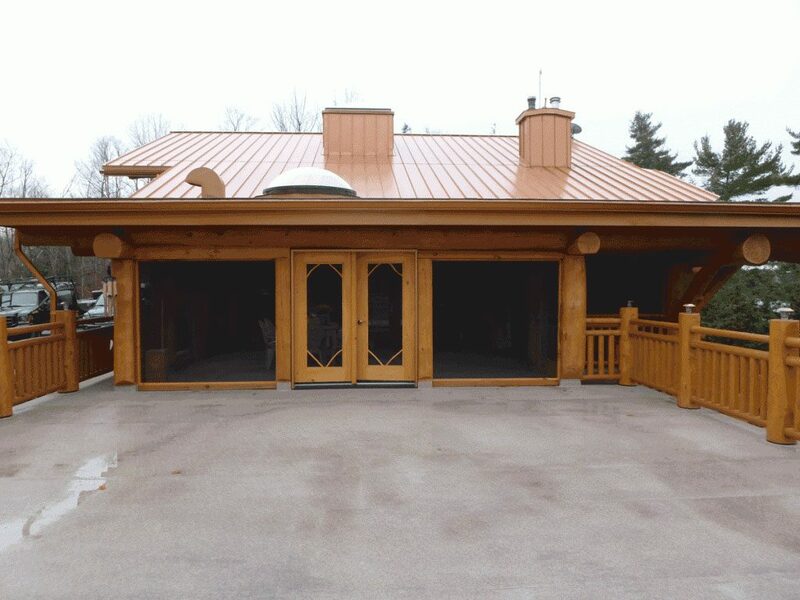 PVC decking membrane, a very under-used product, is one of the best products to save homeowners and cottage owners time and money on wood deck replacements, staining, scraping, sanding, etc. We offer the only 20-year warranty PVC decking membrane that is washable, and gives years of peace of mind to property owners. Built-Up Roofing (BUR) or more commonly known to the layman as “tar & gravel” roofing, consists of several plies of #15 Asphalt felt paper (usually 4-5), adhered together with hot bitumen. Another layer of hot asphalt is poured on top and clean crushed stone is embedded into the hot asphalt. The stone is simply there to prevent the sun’s UV rays from deteriorating the asphalt. 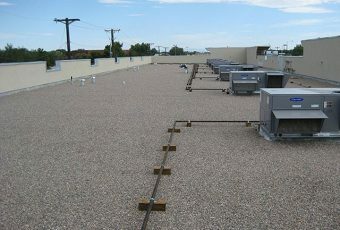 BUR is heavy and is the most rugged of flat roofing systems. It is not easy to damage a BUR system. Usually we have to take an axe to them to start the removal of and old BUR. However, it has disadvantages too. Most modern BUR roofs are made of asphalt from crude oil rather than from coal tar as in the old days. Coal tar was a longer lasting product (up to 30 years) with some self-healing properties if damaged. BUR using asphalt from crude oil lasts only about 12-15 years. However, the fact that coal tar is so terribly irritating to the skin and eyes means it has long since passed as a product of any favour with roofers. Asphalt from crude oil is also a labour intensive roof system, and dangerous for the fact that one is working with cauldrons of a liquid that is heated to between 400F – 500F degrees. As such, its popularity is also waning. 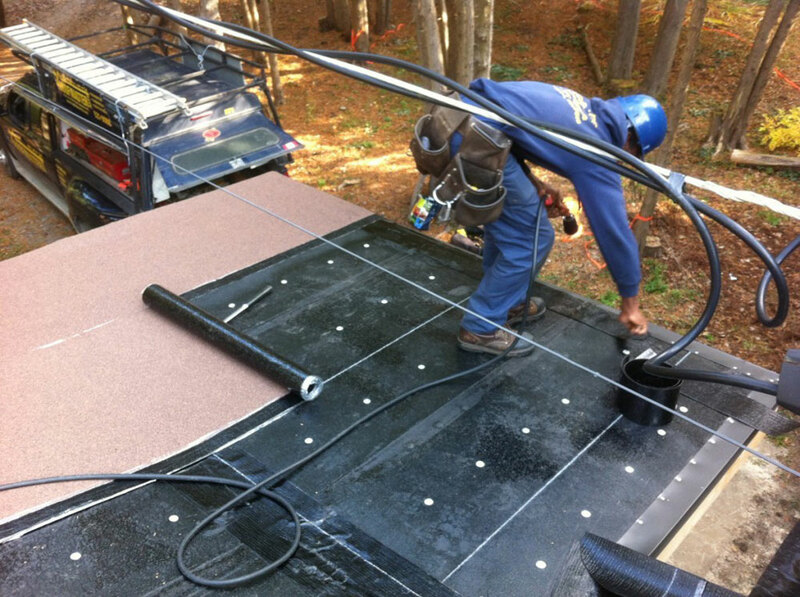 A disadvantage of going with a BUR system is that essentially the roofing contractor is the manufacturer of the roof system on site. There is no manufacturer warranty on the roof system, just on the component products. There is no manufacturer training or certification of the installers of BUR systems. So it is buyer beware. 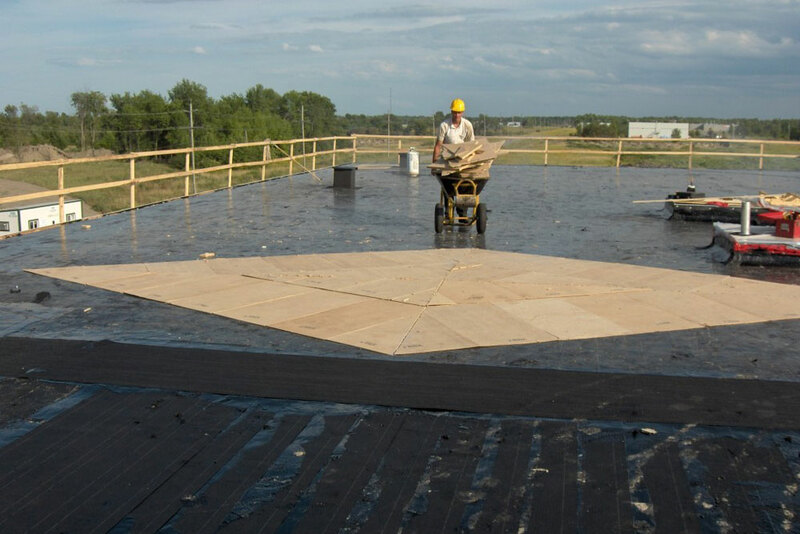 Typically, BUR warranties are from the roofing contractor and range from 2 to 10 years – but usually 5. It is extremely common to find that many older flat roof structures, usually those that are wood frame, eventually develop dips and sags in various areas. This leads to ponding of water on the roof in those low points. Ponding is usually not very harmful if the water can evaporate off in a period of days in the summer months. 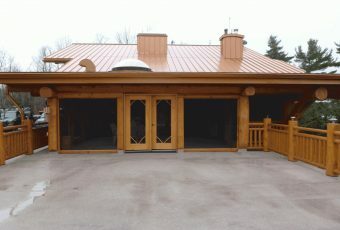 (Of course the roofs usually stay wet or snow covered all winter which is not a problem.) Extensive water retention on the roof during spring, summer, & fall can lead to problems down the road, like de-granulation, dirt / mud / leaves collecting in the ponds and building up over time, mosquito breeding areas, etc. Ponding would also cause more interior damage, if a leak ever developed in one of those low areas simply because there is more water to pour in. As such, wherever possible, it is best to try to achieve a positive slope to the drains or to the edge of the roof to ensure that water does not stay for weeks or months on the roof. Roofmaster have long been providing customers with the option of re-sloping their roofs to achieve proper drainage. We do so in several ways. 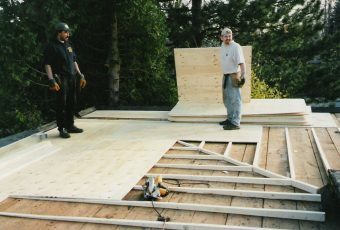 One option is to slope the entire roof using tapered insulation which goes on the substrate prior to the membranes. Another is to use custom cut wood purlins at desired angles to achieve specific slopes and then supply new ½” or 5/8” plywood decking. Alternately, for very minor deflections, one may simply use several layers of membranes to eliminate a minor low point, but the latter is less accurate. If you are experiencing problems in this area, please contact Roofmaster for a free estimate and options.